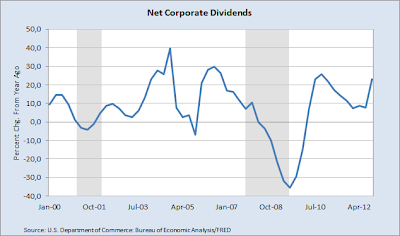 Net Corporate Dividends from companies in the U.S. hit a new record high in the fourth quarter of 2012 data released by FRED shows. 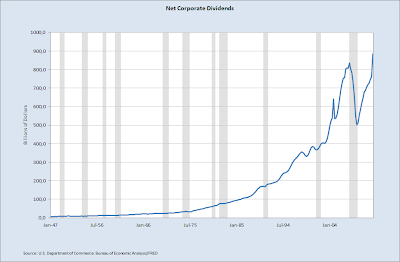 At an annualised rate of USD 883.5 bn, corporate dividends was for the first time higher than the pre-recession record level of USD 835.9 set in the first quarter of 2008. 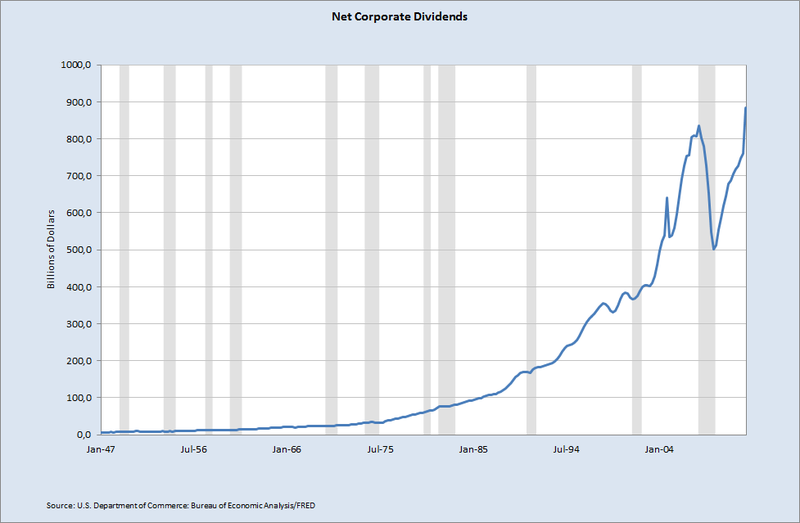 Dividends increased just over 23% compared to the same period in 2011 and increased at the fastest pace since the fourth quarter of 2010 (when it increased 25.7% YoY). 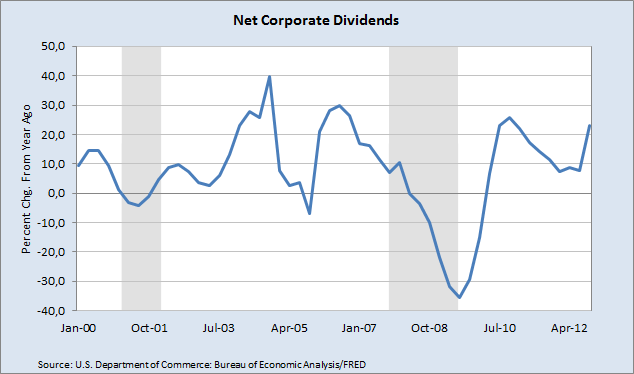 Compared to the previous quarter dividends grew by 16.2%.